First, let me start by saying I NEVER ever do this! With that said this weeks recipe is one I found while shopping. I was at the local craft store on Saturday and saw the Martha Stewart Cupcakes book. 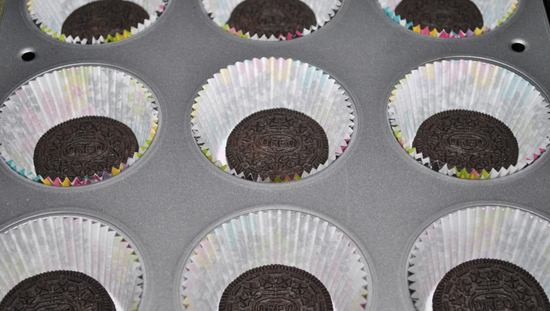 I picked it up, looked through, and instantly stopped at these cupcakes. 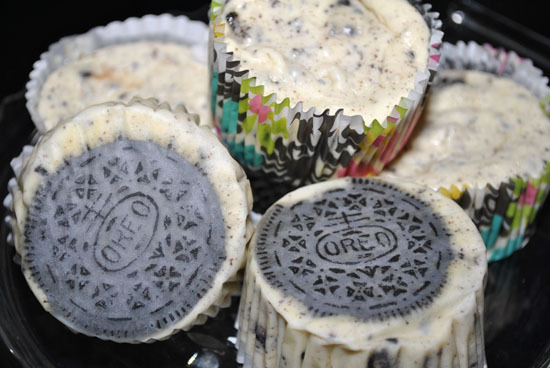 I had already planned on making a Cookies and Cream cupcake but when I saw that these were cheesecake (my serious weakness) I changed plans. Unfortunately the book was $26 and being the end of the month I had very little $ left to splurge on this book. So I did what any normal person would do...at least I think they would...I took out my phone and snapped a picture of it! I know I'm horrible! I'm going to hell! Martha Stewart is swearing at me right now. I'm sorry Martha! I plan on buying the book as soon as it is payday! 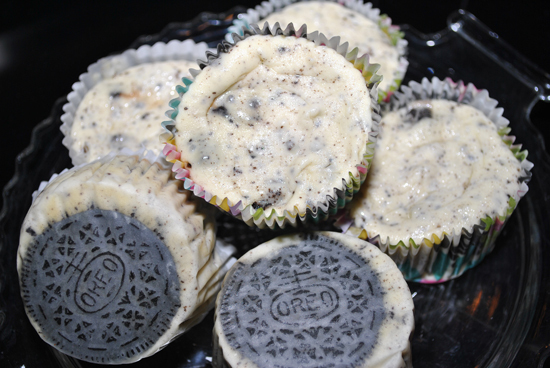 I feel ashamed...but ashamed with a happy full belly :) These cheesecake cupcakes are AMAZING! They are not heavy at all- the cheesecake part is so light, fluffy, and creamy with just the right amount of chocolate. You can print my picture recipe HERE or I finally found the recipe online HERE. I also have to admit something else. The first time I made these (on Saturday) I might have had a few cocktails in me and accidentally cooked them at the wrong temperature which led to overcooked cheesecake. Still edible but not as good as when cooked properly. So PLEASE make sure you cook these at 275 degrees F.
I really think you should try these ones, if not for you, make them for your friends, coworkers, or family. They'll love you forever...okay maybe not forever once their pants get tight, but they'll temporarily love you for making a great dessert! Again-You can print my picture recipe HERE or I finally found the recipe online HERE. Big plans this weekend? Me...not sure yet. I think I might just play it by ear for once! Whatever you might do enjoy it and have a great weekend!